MCH Flying J Fainters Bravo is a stunning buck that embodies elegance. 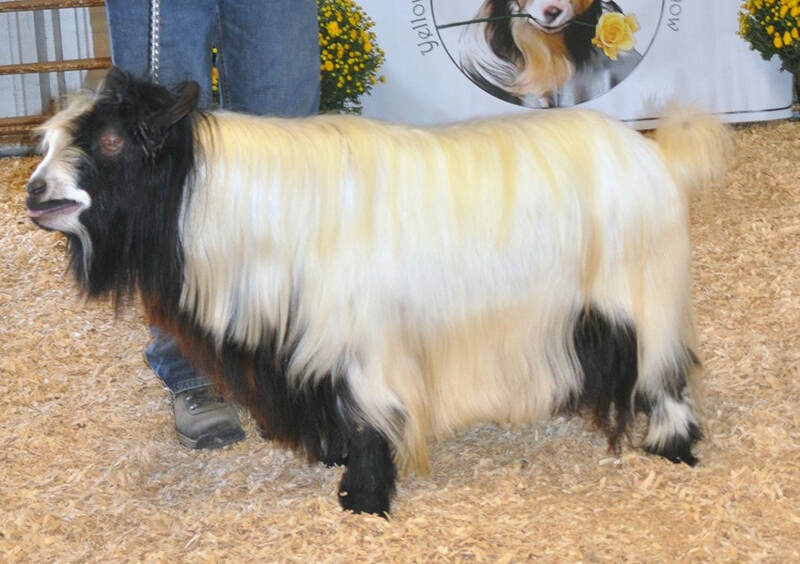 He has sired many superb goats and has an elegant head, gorgeous topline and long silky hair. Thank you, Jackie for allowing us to have this sweet, small boy. Flying J Fainters Roulette is a beautiful boy that we purchased from Signature Feathers Farm. He is a Master Champion, and earned best in show in 2014, when shown by Kat LaDue. He has a very thick, heavy coat and he has thrown his gorgeous coat and nice conformation to many babies. He was born 3/4/11. His Sire is Sol-Orr's Cimarron and his dam is LUA Little Bit of Hope. Kryptonite is a gorgeous, friendly, sweet buck with a beautiful head and a great coat. We purchased him from Julie Beach to give us some brown goats. Look for his foals in the spring of 2018. Topper is a stunning, tiny buck that we were able to get from Steve Bell in Utah. He is very tiny, has a super soft single coat and is a very strong fainter. He was born on 3/4/18. His father is Bells Goats Elliot and his mother is MCH Bells Goats Miss Ellie. 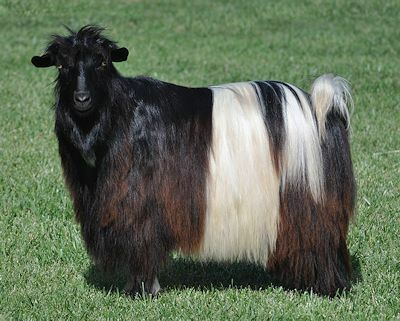 He has 9 Master Champion goats in his last three generations and should give us some awesome genetics. We will be showing and breeding him in 2019. Hill Country Mini's Blaze is a stunning, super silky buck with great conformation and a super loving personality. 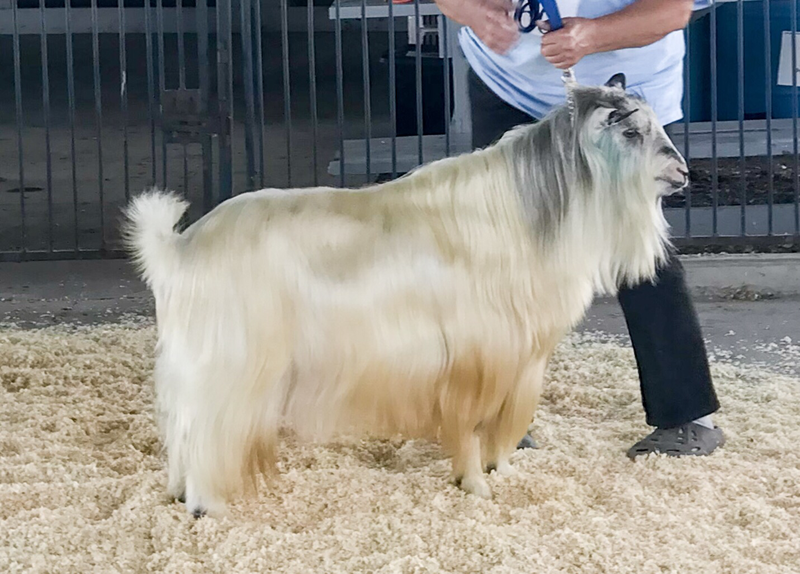 He won a Junior Grand Champion and a Junior Reserve Grand Champion in 2017 and then was shown one time in 2018, earning three Grand Champions and a Best in Show. Venture is a gorgeous blue and cream buck with a super soft, silky single coat. His pedigree includes Master Champions, Sol-Orr's Dagon, Sol-Orr's Duet, Aislinn Meadows Blu Bonnet, Aislinn Meadow's Sean and Silo-View's Mr Bixley. He is owned by Cindy Nazworthy of Nazworthy Meadows and he was Reserve Grand Champion at the 2018 Rhino Bridge and the 2018 Clark Bridge shows in Iowa. We cannot wait to see what we get out of him. Randolph's Mocha is a wonderful buck that was born 12/15/14. His father is a master champion and his grandfather is a mini silky of the year. In fact, he has four Master champions in his pedigree. He is square, balanced and has a long, silky coat. His pedigree includes MCH Bear Creek Kekoa, MCH Sol-Orr's Bee Bop Kid, MCH Flying J Fainters Muggle, and MCH Flying J Fainters Gema. Randolph's Comet is a short, stocky black and white disbudded buck that was born 12/18/14. He is a super sweet boy that has seven master champions in his background. Those master champions include MCH Randolph's Gizmo, MCH Randolph's Eau Claire, MCH Randolph's Lilly, MCH Sol-Orr's Tamale, MCH Bee Bop Kid, MCH Flying J Fainter Muggle and MCH Flying J Fainters Gema. He has a wonderful topline and is a super calm, loving boy.